The EU (Withdrawal) Bill, currently before the UK Parliament, fully respects the UK’s devolution settlements. Scottish Secretary David Mundell has responded to the report of the Scottish Parliament’s Finance and Constitution Committee on whether to provide a Legislative Consent Motion to the EU (Withdrawal) Bill. We have worked hard over the past year to secure the support of the Scottish Parliament and have put a considerable offer on the table that would see the vast majority of devolved powers automatically flow from the EU to Belfast, Cardiff and Edinburgh. 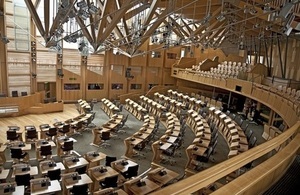 While it is disappointing that a majority of MSPs on the Committee recommended that the Scottish Parliament does not give the EU (Withdrawal) Bill legislative consent, the decision is ultimately for individual parliamentarians and we remain hopeful that they will back this important piece of legislation. Mr Mundell said that he was grateful to the Committee for its time and contribution to the debate, and welcomed the Committee’s support for a number of changes the Government has made to the EUWB (including amendments that protect the Scotland Act 1998 from modification). Through the EU (Withdrawal) Bill, the vast majority of EU powers in devolved areas will go straight from Brussels to Belfast, Edinburgh and Cardiff when we leave the EU. A small number of specific policy areas will be frozen while we design and implement new common arrangements. This will give essential certainty to businesses at the point we leave the EU and protect the vital UK common market. We are clear our approach fully respects devolution, as the Welsh Government has confirmed. We still hope the Scottish Government will come on board, even at this late stage. Our door remains open.